All opinions expressed here are those of the author alone, including guest authors from time to time, and not necessarily those of the organizations with which they are affiliated or any other organization or person. Love this Blog……….thought I was the only one left that is grieved over the loss of honesty and integrity in society. Like the aspect of “helping each other thru these difficult times.” Look forward to contribute and read what other bloggers will put forth. And, will put a blip in my column in MEXICO LIVING MAGAZINE, which is also dedicated to helping businesses in Mexico and the economy. The Guide to the Good Life! Thanks Schalk, I’ll look into the award later on today. All recognitions are gratefully accepted! I have a Facebook entry under my own name. Do please send me a link request. Hello. I came across your blog via Don Charisma’s – and like what i’ve read so far. Think I will ‘follow’ you! Glad I came across the Founding Author! I always like to know where Struggling Writers come from. I’m in the same Struggling Writer category. I love your blog site, being a dog owner and dog lover. 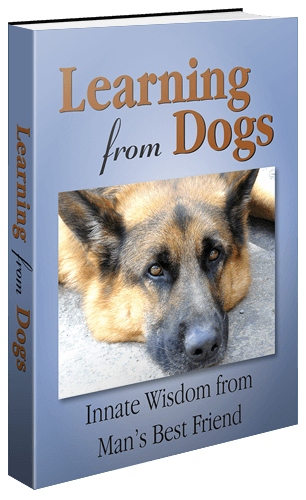 Yes, we learn a lot from dogs if we only listen and partner with them in their short lives. Look for ward to reading more of your blogs. The photographs alone are awesome to see. Christine, what a wonderful new comment from yourself and thank you for your kind words. Love it when we make connections across this enormous ‘virtual’ world. Feel free to republish anything you like and, even better, do offer the readers a guest post from your goodself. Thanks Paul for responding. I’ll certainly keep looking at your blog site for new posts. All my family in the state of WA are dog owners and dog lovers! They would love to see some of your dog photos and captions. They could relate! Thank you very much. Best wishes, Paul. Enjoyed being here Paul and reading your aviation and career stories… You are living a charmed life… Best wishes… Raj. Hello Paul. Trying to contact you re ” Songbird of Kent ” I need your authorisation…..Love to chat…..Please email me ….dgconnaughton@iol.ie Thanks. Please be advised that The Institute for Spiritual Research, Inc. dba Veritas Publishing (The Institute) is the owner of exclusive rights protected under copyright law and other intellectual property rights in many books, videos, audio programs, and associated materials and programs, authored by Dr. David R. Hawkins, including the title listed below (Property). These materials are sold on The Institute’s website at http://www.veritaspub.com. The Institute diligently enforces its rights in the Properties. From that URL listed above, you have engaged in unauthorized copying and distribution of the Property listed above. Your copying and or use of The Institute’s Property, which appear at the link above, is unauthorized. You neither asked for nor received permission to use the Property nor to make or distribute copies of them in the manner you have. Therefore, I believe you have willfully infringed The Institute’s rights under 17 USC §101, et seq. and could be liable for statutory damages as high as $100,000. Further, such copyright infringement is a direct violation of the Digital Millennium Copyright Act and International Copyright Law. This unauthorized copying and distribution constitutes copyright infringement under Section 106 of the U.S. Copyright Act. On behalf of The Institute, I demand that you immediately cease the use and distribution of The Institute’s Property and all copies of it, that you remove any further works you may have stolen and that you desist from this or any other infringement of The Institute’s rights in the future. The undersigned has a good faith belief that use of The Institute’s Property in the manner described herein is not authorized by The Institute, its agent or the law. The information contained in this notification is accurate. Under penalty of perjury, the undersigned is authorized to act on behalf of The Institute with respect to this matter. If I have not received proof of compliance from you within 72 hours, I shall consider taking the full legal remedies available to rectify this situation. Please be advised that this letter is not intended to be a complete statement of the facts or law as they may pertain to this matter or of The Institute’s positions, rights or remedies, legal or equitable, all of which are specifically reserved. That chart has now been removed. I was born in Acton, North London, and lived in Wembley until my first job. Not my favourite city these days! Hello Paul! Thank you for following my blog and for your nice message. I’m going to enjoy reading yours and I’m sure I’ll learn a lot along the way. Tess, I’m sure it is going to be mutually enjoyable. Lovely to hear from you.